Dongguan Lituo Electronics Material Co., Ltd.
Dongguan Lituo Electronics Material Co., Ltd.was founded in 1992, has 8 years of experience in silicone production. We are a famous enterprise in the field. Dongguan Lituo Electronics Material Co., Ltd. is a manufacturer specialized in the research, development and production of silicon products. 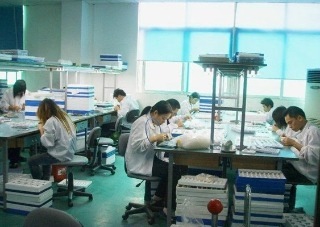 We are located in Dongguan, with convenient transportation access. All of our products comply with international quality standards(Rohs/SGS/ISO 9001:2000 ) and are greatly appreciated in a variety of different markets throughout the world. Our slogan is "Think in your side, do more than what you want". We always try our best to satisfy our clients. Please tell us your demand, and we will try our best to serve you. Our goal is to be your long-term business partner. Look forward to hearing from you soon. Weifang Liufeng Trading Co., Ltd.
Jiedong Liwei Arts & Crafts Co., Ltd.
Wenzhou Lixin Faucet Equipment Co., Ltd.
Yueqing Lixing Plastic Window Parts Co., Ltd.
Yinan Li-Ya Sleep Decoration Products Co., Ltd.
Zhejiang Limengda Technology Develop Co., Ltd.
Yuyao Tongyong Meter Co., Ltd.